Surfer finds Apple Watch lost at sea for 6 months – and it still works! Aukey’s 18W USB-C power adapter has definite advantages over Apple’s offerings. Aukey has a USB-C charger that’s about as small at the standard 5W iPhone charger but boasts 18W of power. It can quickly charge an Apple phone or tablet, as well as other devices. In addition, Aukey makes a USB-A dual-port charger that’s also surprisingly small but puts out 12W. We tested both these products so you can be sure you’re getting your money’s worth. Scoshe now makes an iPad Pro charger with two USB-C ports. Before Apple started selling the 2018 iPad Pro USB-C power charger as a stand-alone product, Scosche introduced one that’s slightly more expensive but offers significant advantages. In addition, Scosche sells a USB-C/USB-A car charger that iPad Pro users should consider as well. The FuelBox PowerStation has built-in cables, a pair of AC outlets and a mobile battery pack. There’s a secret magician lurking in our household. We never see them, but they somehow manage to disappear all our charging cables. It drives me batty. The kids, of course, deny any knowledge of the situation. Yet somehow it’s impossible to keep cables around the house. They just keep disappearing. That’s why I like the FuelBox PowerStation, a charging system that combines a docking station/charging brick with a mobile battery pack. 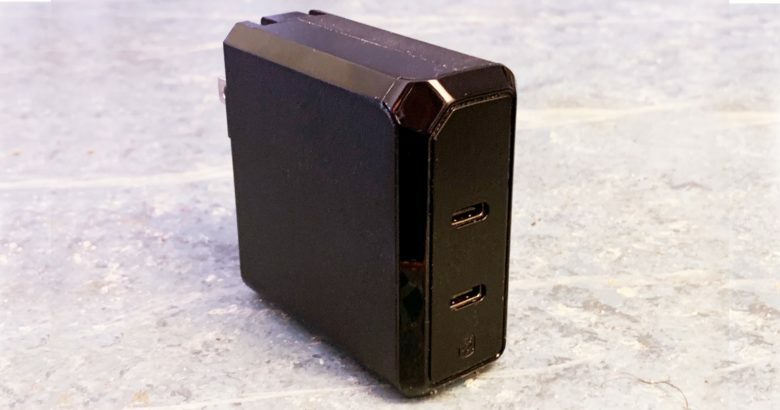 Both the docking station and the battery pack have built-in charging cables — both Lightning and mini-USB. No matter what, the cables can’t disappear. I'd rather pack one of these than three bricks, personally, but I'm crazy. I have a bit of an embarrassing problem: Part of my device-charging setup in my bedroom includes a power strip that sits on the floor next to my bed. It isn’t the worst thing ever, but it’s ugly, and sometimes I trip over it. 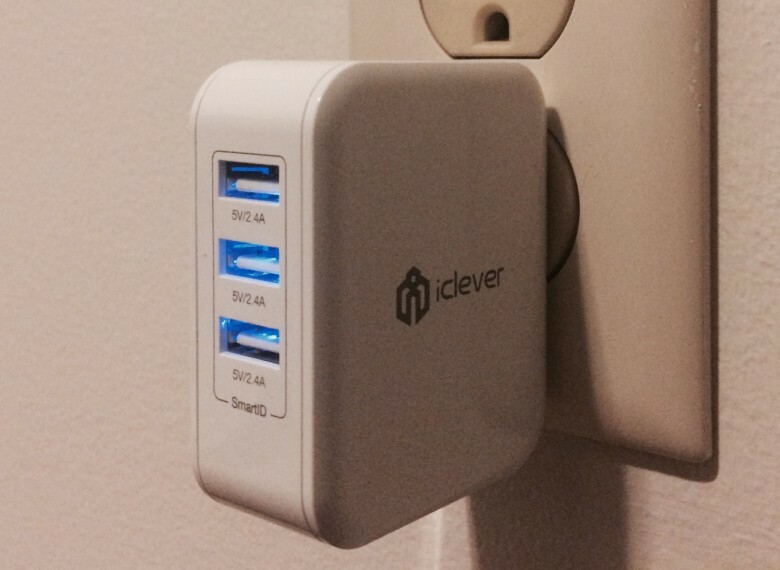 But I may have found a solution in the 3-port iClever BoostCube. It will save my pride, and some space in my bag when I travel, and that’s just good news all around. Plus, the ports glow an eerie blue when it’s plugged in, and that’s really cool-looking. 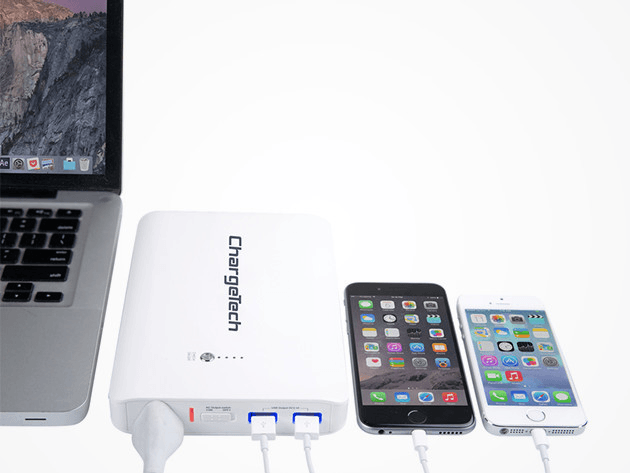 The ChargeTech Portable Power Outlet means you'll never be without an outlet for your laptop, phone or tablet. If you’ve ever tried to charge your laptop at the airport, you know that wall outlets are in demand like never before. 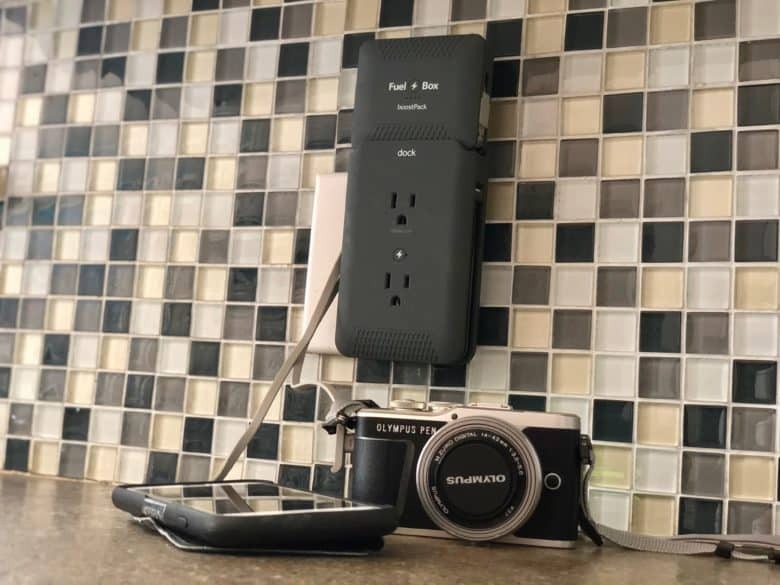 ChargeTech’s portable power outlet means you’ll never be far from an outlet even if they’re all taken up or there’s not a wall around. It’s a game changer for anyone who needs a charge when they travel or go about their day, and you can get one now for only $139.99. One charging station to rule them all. I have a gadget-friendly family. We’ve all got an iPhone, a few of us have iPads, and I’ve got an Apple Watch. All of these devices require charging, and all of them need a place to hang out when they’re not being used. 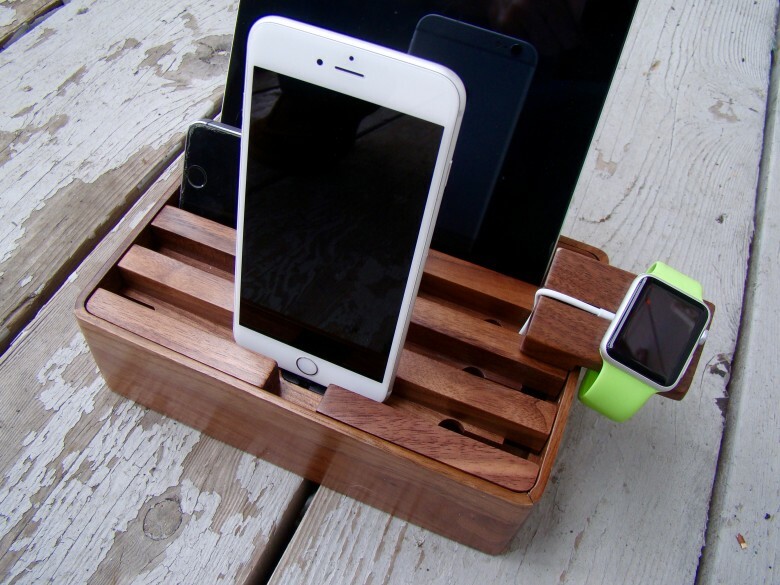 The AllDock is a gorgeous wooden universal charging station that lets me store and charge all the family devices in one location with ease, making it simple to grab any device and use it at a moment’s notice.